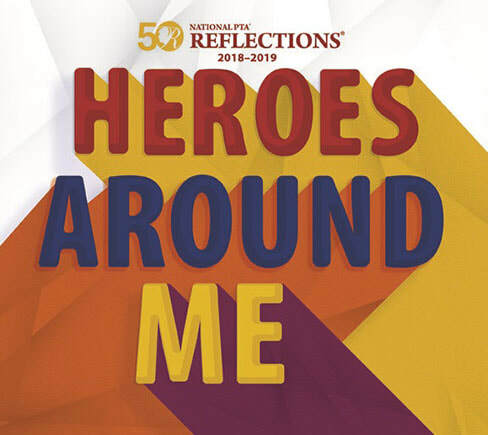 The 2018-19 theme is Heroes Around Me. PTA believes all children deserve a quality arts education and encourages students to pursue artistic expression through participation in its annual arts Reflections rogram. The program offers students the opportunity to create works of art for fun and recognition. Students in preschool through grade 12 are encouraged to create and submit works of art in six areas: dance choreography, film production, literature, musical composition, photography and the visual arts (which includes art forms such as drawing, painting, print making, and collage). For 50 years, the program has encouraged millions of students across the nation and in American schools overseas to create works of art. Reflections was started in 1969 by then Colorado PTA President Mary Lou Anderson. In this 50th anniversary year, we celebrate and support this legacy of encouraging our students in their artistic pursuits.